Funko Ralph Breaks the Internet Mystery Minis brings Disney fans miniaturized vinyl figures for the sequel to the smash hit Wreck-It Ralph. Unofficially known as Wreck-It Ralph 2, the November 2018 film picks up the action six years after the events of the original movie. 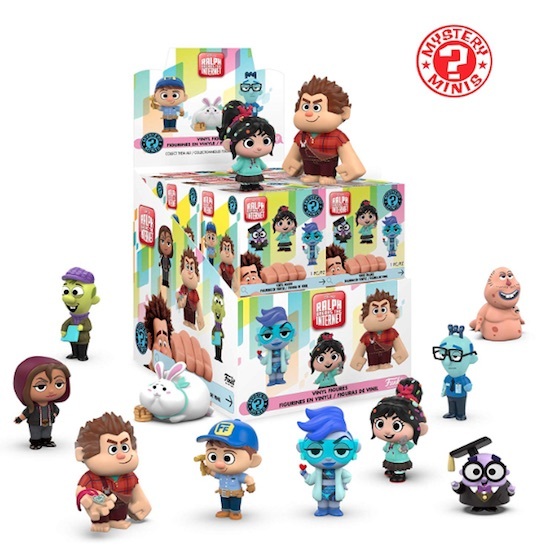 Taking the unique features of the Disney characters, and adding the normal Mystery Minis style, each Funko Ralph Breaks the Internet Mystery Minis figure comes in a blind-box format. Wreck-It Ralph, voiced by John C. Reilly, has a standard version and one with him proudly displaying his medal. Likewise, Vanellope (Sarah Silverman) has two poses, including one holding a mouse. Buy Funko Ralph Breaks the Internet Minis Boxes on Amazon. 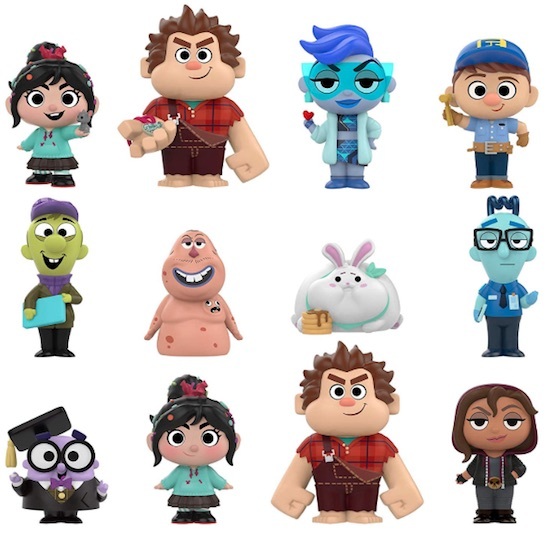 Most of the other key characters are also featured in Funko Ralph Breaks the Internet Mystery Minis. Fix-It Felix, Yesss, Spamley, Double Dan and Shank help fill out the choices. Based on the early info, it appears that the complete set has 12 figures at 1:12 rarity with no known exclusives to hunt down. Collectors can also find an extensive Funko Pop Wreck-It Ralph offering with many of the same subjects done in the Pop! vinyl look. Shop Funko Ralph Breaks the Internet Cases on Entertainment Earth.